Casper Mattress Review – Worth The Hype? Casper, Casper. Thanks to their high funding and marketing, now everyone knows the new bed-in-box model mattresses. Although many don't like the company and founders, their mattress is better and cheaper than in store models, ships to your door in a box and it's comfortable for many sleepers. The Casper is composed of 3 unique foam layers. The first layer is made from hypoallergenic and supportive latex foam. Its middle layer is memory foam while the third base layer serves as the support layer for everything. Topping the memory foam with latex makes the mattress sleep cooler and works to combat the age-old problem of heat retention and quicksand feel, a common complaint when using memory foam. The Casper is a medium-firm bed with a solid amount of spring, especially for a memory foam based bed. You won’t be able to jump around on it but it offers proper support and most importantly, a good night’s sleep. Being an online company, ordering has been made hassle-free. 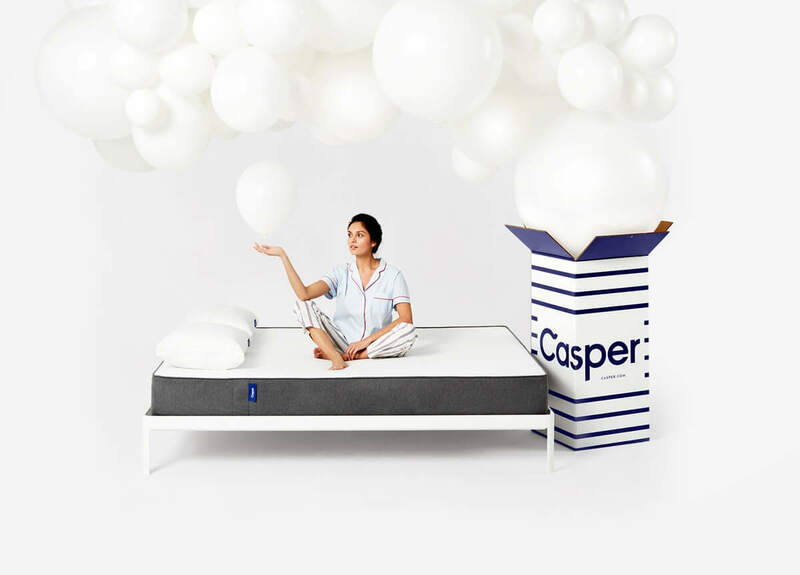 The Casper mattress is compressed in a roll and shipped in a box. It comes with a mini pouch containing a thank you note, instructions and a cutting tool for opening the mattress. All you have to do is slide it in place and open the wrapping, you can then watch it unfurl. Like competitors Leesa and Helix you get 100-day trial period with your mattress. If you’re unhappy with it, Casper lets you return it. They’ll even help you arrange for a pick up so you won’t have to pay shipping. 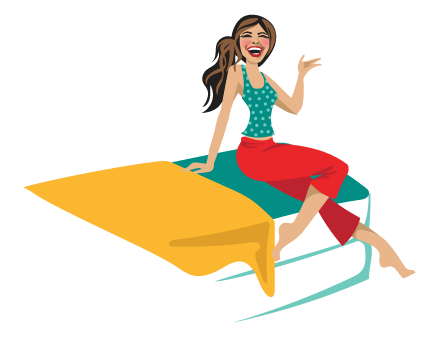 It is more than just memory foam – By layering the latex foam, memory foam and a support foam on top of each other, you get a mattress with a nice amount of sink and a good amount of bounce. Memory foams tend to get hot so sandwiching it between latex and support foam gives you the cool and comforting benefit of the latex foam with the proper comfort of the memory foam. Most American sleepers are not familiar with latex but it’s a popular choice for Europeans since it is breathable and reduces pressure points. Latex is a bit springy however so when Casper added the memory foam underneath, it created a very well balanced feel. 100% USA Made – Anybody who prefers things made in the country will adore this one. Careful attention to detail including using non-allergenic versions of latex and an excellent fire barrier instead of dousing the memory foam with toxic fire retardants is another huge plus. Comfort – This is probably the biggest factor of them all. The Casper mattress has found a unique blend of materials to create a solid bed without that immediate ‘sinking’ feeling most memory foam only mattresses have. It’s comfortable but not too soft, neither is it too hard. It’s captured a unique feel and seems to be particularly well received by people who love a ‘soft hug’ feeling when they sleep. Unimpressive Edge Support – I found out that the Casper mattress is excellent when the weight is centered. However, if you move towards the edge, pronounced sinkage happens. If you’re an edge sleeper or like to use the bed for sitting down and dislike sinking into the mattress, you might want to do a bit more shopping. Only Available Online – Personally, I love the idea that Casper is revolutionizing the mattress industry by eliminating extra expenses in shops and middlemen. Some people might think it’s too risky buying a mattress they haven’t seen themselves. However, Casper eliminates the risk by offering a 100-day free trial. Yes, you can sleep in the bed. Try it out. See if it works for you. If for some reason, within 100 nights, you’re not satisfied with it. You can request a refund and they’ll help arrange a pickup so the returned mattress is donated to charity. Now that’s dedication! 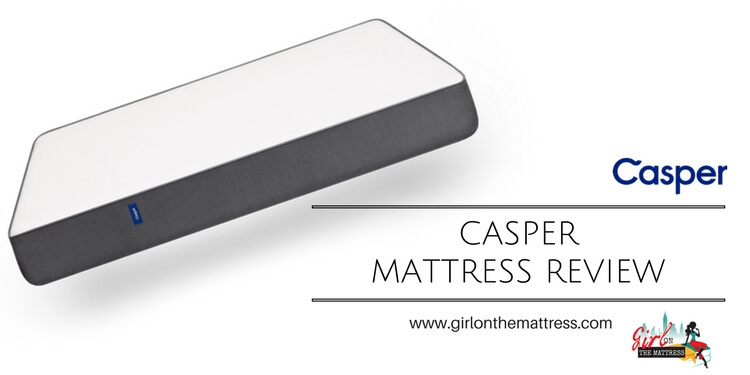 The Casper Mattress is a solid and stable bed worth trying out at very little risk. Armed with durable layers of latex, memory foam and support foam, you get a mattress with the perfect balance of firmness. Personally, I love how it gives a soft hug feel, ensuring all my pressure points are covered, without making me feel like I’m drowning. Side sleepers, front sleepers and back sleepers will find the Casper equally comfortable as well. However, for edge sleepers or couples, the sinkage towards the edges is worth noting. You can still try the mattress though thanks to Casper’s 100-day risk free trial policy. In the end, the Casper is a bed made for the the majority of sleepers. Created by a new company that provides a luxurious product for a very reasonable price. For starters, the information needs to be updated to include the fact that Casper mattresses are sold in brick and mortars (in addition to online) to let readers know they can take the mattress for a test drive. Then, as to the comment about how noble Casper is, in donating unwanted mattresses to charities, the truth is, there are laws against reselling used mattresses, so this has nothing to do with nobility. Plus, requiring customers to dispose of their unwanted mattress saves them transportation/labor costs in picking it up. And while you’re certainly not the first or last person to get kickbacks for writing an article about a product, the information is mostly worthless and not just because you’re biased, but because the information is very, very general. You didn’t even test the mattress before reviewing it! Readers can learn more simply by going on Casper’s website or taking a test drive themselves. Never mind, reading the plethora of expert reviewers who took the time to test the mattress themselves, who offer analysis of a significant amount of consumer reviews, information on FTC complaints, Better Business Bureau ratings, technical differences between foam and innerspring mattresses, etc. Articles such as this add nothing to the discussion to help consumers make a high ticket item choice from among a staggering amount of bed-in-the-box choices.